For more than a century, access to the historic Poamoho trail, the premier route to the Koʻolau Mountains summit, has been through private land, with public access at times cut off. The purchase of the Helemano Wilderness Recreation Area has secured permanent public access to the Poamoho Trail, and to another 4,300 acres of state owned land – the Poamoho section of the ‘Ewa Forest Reserve, which includes hunting and hiking areas. 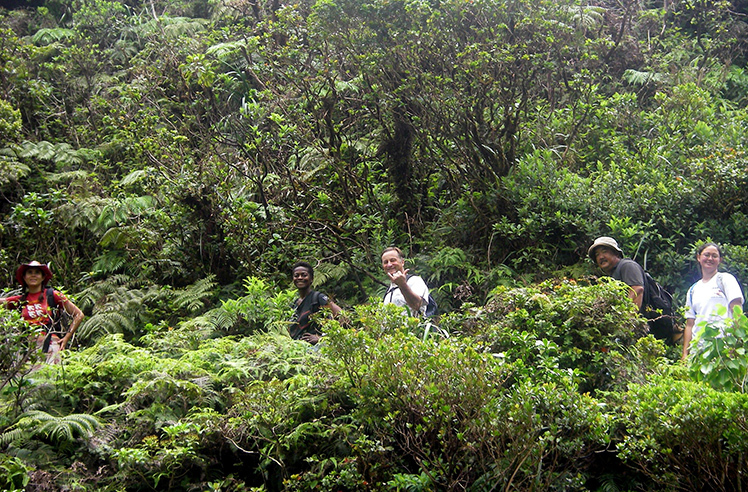 As part of its management, DOFAW will improve habitat for native species by controlling invasive plants and animals in the mountainous portions of the property, while reforesting former plantation areas with native species such as koa and sandalwood, along with native plants, high value forest products, and edible forest plantings. Woodworkers have long desired to increase local sources and supply for woodcraft products. The state hopes to grow a sustainable supply of harvestable timber for local craftspeople. DOFAW will also partner with Hawaiʻi’s hunting community to reduce damage to native resources in select areas, while improving hunting opportunities in other areas. This management approach will recharge the Central Oʻahu aquifers fed by the Helemano, Poamoho, and North Fork Kaukonahua streams, securing clean drinking water for generations to come. The elusive, endangered ʻŌpeʻapeʻa, or Hawaiian Hoary Bat, is the official state land mammal. Permanently protecting this property preserves the existing bat habitat, while reforestation efforts will create substantially more feeding and roosting opportunities for bats, along with improved habitat for native endangered birds, insects and plants.